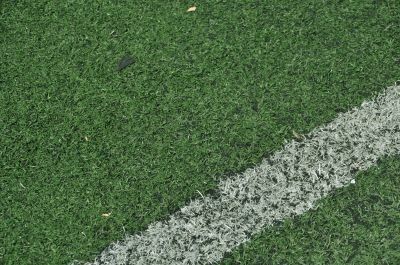 Turf Toe Symptoms and Treatment | Podiatry Associates, P.C. Athletes everywhere like to carbo-load prior to competition. Typically this involves a big ol’ plate of pasta. Before the noodles are cooked long enough, you may be able to bend them beyond what they can withstand. This is similar to what happens with the injury known as turf toe. Turf toe is a sprain of the ligaments surrounding your big toe joint as a result of it bending beyond its limits. It gets its name because the condition is often associated with football players who play on artificial turf. However, it can happen to any athlete who plays on a hard surface. For instance, those who participate in basketball, wrestling, gymnastics, and ballet are all vulnerable to spraining their big toes, and depending on the damage, the condition could have them heading for the showers. Instant Replay: How did it happen? When you run or jump, your big toe helps to propel you forward by pushing off of the ground. Sometimes, however, a sudden force—like a tackle—can occur while the toe is still planted during your forward momentum. This bends the toe too far, hyperextending it, and causes damage to the surrounding ligaments. This can also happen due to overuse from repetitive action over time, such as a sprinter pushing off of the starting blocks over and over, or a ballet dancer performing jumps again and again. Although the hard surface is what typically causes the toe to stick to the ground and stay planted, your shoes can contribute as well if they do not provide adequate support. Unfortunately, athletes who play on such surfaces tend to have more flexible footwear, thus causing them to be most prone to this injury. If the injury is due to overuse, pain, swelling, and limited movement will worsen gradually over time. However, if it is the result of a sudden force, these symptoms will be instantaneous and worsen within 24 hours. There may also be some bruising and severe tenderness, as well as a popping sound. Movement of the joint will be difficult without pain. Depending on the severity, you could be sidelined for quite a while. R.I.C.E. is the best way to treat turf toe. We’re not talking about the kind that you eat (another good carbo-loading dish), we’re talking about the acronym that stands for Rest, Ice, Compression, and Elevation. You need to rest your foot by taking time off from your sport. You also need to protect your toe from further injury. To do this, we may tape your big toe to its neighbor to relieve stress, or immobilize your foot with a cast or walking boot. Ice, along with anti-inflammatory medication, can help to minimize pain and swelling, as can elevating your foot whenever possible. If a cast is not necessary, a snuggly wrapped elastic bandage will keep the toe compressed to reduce swelling as well. Depending on the severity, recovery typically ranges from a few days to several weeks, and may need to be followed by physical therapy to restore strength and range of motion. Although rare, if the problem persists and pain is keeping you from getting back into the game, surgery may become an option. You can try to avoid turf toe by making sure to wear supportive shoes. You may also want to slip in some orthotics for added support, and to correct any biomechanical issues that could be affecting your gait and putting you more at risk. Make a point at working on proper training techniques as well to reduce your chance of injury. We are happy to provide you with more information. Just give Podiatry Associates, P.C. a call at (303) 805-5156, or visit us at one of our three Colorado offices in Castle Pines, Castle Pines and Parker.